The first turbine is installed. All 8 to be up and undergoing testing by firsy half of 2013. 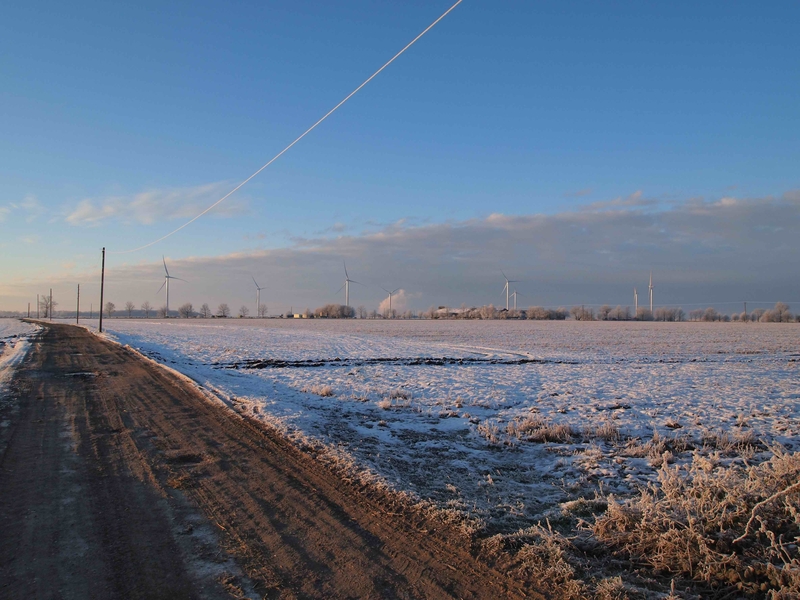 15 January 2013 All eight turbines erected the first one now rotating. All eight turbines now erected. photo courtesy of Alan Hawkins. 24th February 2013 All eight turbines now rotating.